From call centre headsets to wireless Bluetooth headphones for fitness fanatics, gamers and audiophiles, Plantronics employees must surely be enjoying the company’s transition to cool over recent years. The US company known for its commercial products for call centres, the aviation idustry and Bluetooth ears pieces has found its core competencies are aligned with the major trends driving the audio market. Whether it be headphones, portable speakers or an added-on function to multiroom speaker systems that operate over Wi-Fi, Bluetooth connectivity has been a key trend in audio products released this year. Plantronics identifies itself as a “wearable Bluetooth device maker” and with the releases of the BackBeat Fit Bluetooth headphones and the BackBeat Pro Active Noise Cancelling Bluetooth headphones the business has added two new feathers to its cap. These releases come after the brand’s release of the the BackBeat Go wireless ear buds the Plantronics Rig for gamers in 2013. 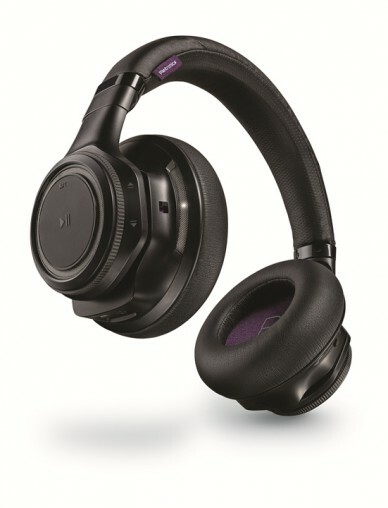 I’ve used both new releases from Plantronics throughout the year and they do meet the Plantronic’s promise that their expertise in audio quality, ear ergonomics and a reliable Bluetooth connection transfers from ear piece to headphones. 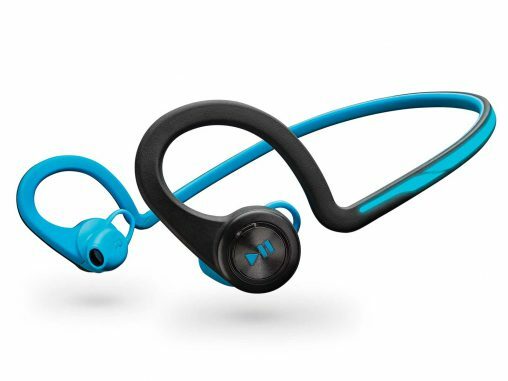 The BackBeat Fit is surprisingly comfortable compared to some other wireless in-ear buds. They don’t look comfortable and they are kind of fiddly to get on but I often forget about them while wearing them. Although it’s an obvious point to make about the category, not having a cord really is the main attraction for Bluetooth headphones. The convenience of not having a cord to spend hours of your life unknotting or to get tangled around scarves or umbrellas whilst juggling a coffee/phone/wallet and trying to find a bus ticket is great. Although I never really got the hang of the controls which are located on the ear buds and just used my smartphone to control music. Available in two colours and with an accompanying armband, I’d add this to a Christmas list for anyone who works out regularly. I did manage to get the hang of the on ear controls of the BackBeat Pro, probably because the cans are enormous and you could operate the controls wearing mittens. The size of the BackBeat Pro is really my only issue with these headphones. 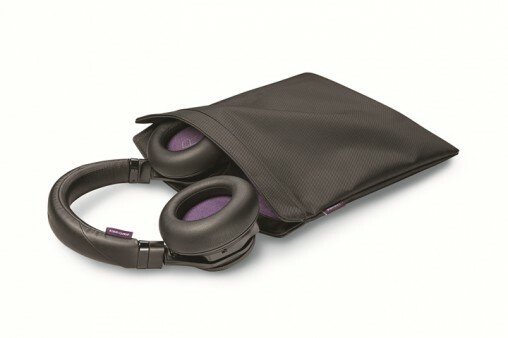 The audio and Active Noise Cancelling are great – many a plane and bus trip were made more enjoyable thanks to them – they are comfortable, and they’ve got a couple of really neat features like pausing the audio when it recognises the headphones have been removed and fading audio back up when they are returned to the ears. Also, being able to fold the cans flat while wearing them around the neck makes grabbing hand luggage and getting out of the airport as fast as possible feel more seamless. That said, I just think they are a little too large for me, and perhaps ladies in general. The cans are designed to fit over any size/shape ear, in fact Plantronics lab in California has a Wall of Ears that the brand uses to test products. Despite my superficial criticisms, I do occasionally wear the BackBeat Pro at home (where no one can see the extra 5.5 centimetres added to either side of my head). Noise cancelling headphones are great for giving our ears a much needed break. Taking this idea of giving your ears a rest a step further, sync the BackBeat Pro with apps that play natural sounds like rain drops or guided meditations to block out the outside world and get zen. These apps can normally be set to time out and switch off after certain period, making it a great way to relax before bed without worrying about nodding off. However, you do run the risk of rolling on to your side where the volume button is located and the sound of rain drops turning into a typhoon.